A couple weeks ago, I took all 3 kids to see Beauty and the Beast 3-D. The boys were good sports about going along with their sister, but when the trailer for Star Wars Episode 1 -- Phantom Menace in 3-D came on before the movie, they were SUPER-excited. 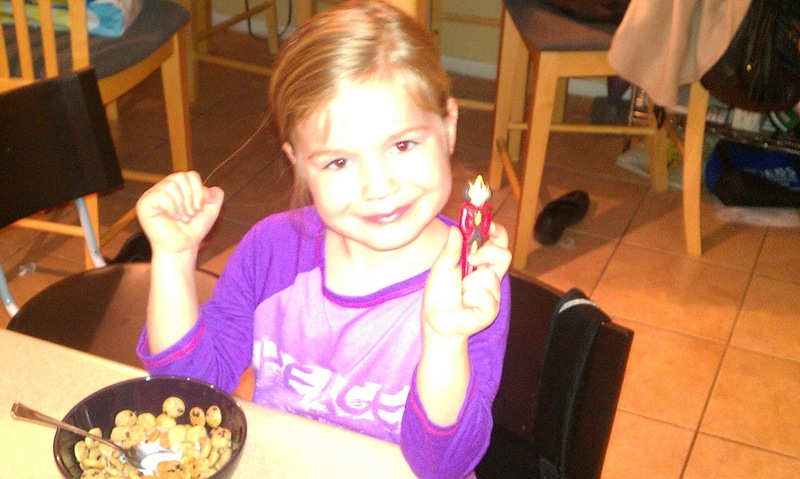 Participating Big G cereals include Cinnamon Toast Crunch® (12.8 oz. ), Lucky Charms®(11.5 oz. ), Reese’s® Puffs (13 oz. ), Cheerios® (14 oz. ), and Cookie Crisp® (11.25 oz. There are 8 different pens to collect, including: Anakin Skywalker, Obi Wan Kenobi, Queen Amidala, Yoda, R2D2, C3PO, Jar Jar Binks and Darth Maul. I have a prize pack to give away to one of my readers. 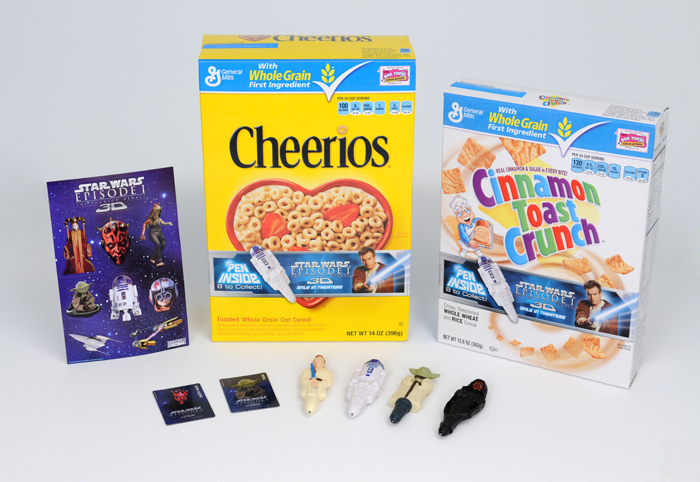 It will include 2 boxes of Big G cereal, 4 collectable Star Wars pens, a sticker sheet, and 2 magnets. 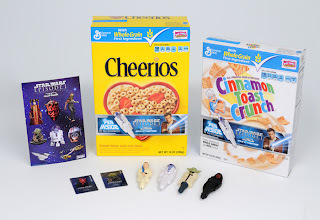 Each box of cereal has a pen as well, so you will receive 6 pens! MANDATORY QUESTION: Who is your favorite Star Wars character? The giveaway will end February 18, 2012. Good Luck! Please click the link in the post for the Giveaway Form to enter the giveaway! Entries left in the comment will NOT count. Thanks and good luck!